Give teachers hundreds of reasons to visit your NIE website everyday! Targeted to middle and upper grade levels, our classroom resources are excellent interactive tools designed to integrate the latest world and local news, politics and technology into the classroom to engage students and help teachers meet core curriculum-learning objectives. Every Monday you will receive a Weekly NIE Tickler with active links back to your NIE website so you can easily remind teachers of the great resources your newspaper brings to their classroom. Updated every Monday, each lesson starts with a map for students to find the world region being discussed. Five questions are presented in an interactive format to test student's knowledge of world geography, with instant scoring and correct answers provided. A searchable archive allows the teacher to enter a country of their choosing to pull up a past quiz to suit their classroom need. Updated every Monday, Front Page Talking Points explores the hottest news topic of the week with “Talking Points,” a related video and a series of three "Get out Your Newspaper" Action Points. Plus the archive provides more than five-years worth of topics. In a joint partnership between The Association of American Editorial Cartoonists and NIEonline.com, these lessons plans are based on political cartoons. Every other week, a new set of PDF files are posted for download. One page provides talking points on a specific topic; the other is a blank worksheet of the cartoon so students can use it to test out their own interpretations and captions before reading the lesson and discussing the questions. In addition, students can submit a caption for the cartoon in our caption contest, Draw Your Own Conclusions, for a chance to win a copy of the book Best Editorial Cartoons of the Year – 2014 Edition. An archive of more than 300 lessons is also available for download. Three sets of lesson plans targeted for specific grade levels: K-4, 5-8 and 9-12 are updated every Monday. Each set consists of five activities for using the newspaper in the classroom. Each question or activity includes references to the applicable Common Core learning standard being addressed for that grade level. An archive of lessons going back a full year is also made available. A weekly quiz designed to test a student’s knowledge of recent national and world events. A new word from a current news story is featured every week with a link back to the related story. This customizable and interactive vocabulary quiz with Elementary, Middle and High School versions can be taken online or printed for use offline. The multiple-choice format allows for words to be matched to the correct definition or the definition matched to the correct word in 5, 10, 15 or 20 question quizzes. A weekly video regarding a current issue in the news, complete with discussion points to stimulate classroom participation, plus an archive of nearly 200 videos. Weekly lists covering diversity, multiculturalism, and interesting worldwide events for classroom discussions. As part of our push to bring STEM resources to NIE programs across the country, we’ve partnered, with the Emmy award-winning educational arm of NBC News, NBC Learn, and the Miami University to bring lessons designed to help teacher and students core curriculum-learning objectives. Special Reports update as they become available and archive so past reports are always at your teachers' fingertips. Our partnership with the National Wildlife Federation brings our clients access to hundreds of downloadable lessons and activities designed to introduce students to life science, wildlife biology, scientific identification and observation. All lesson plans are aligned to the National Science Education Standards and categorized by grade level. For many children the world of finance is foreign and confusing. Not anymore! 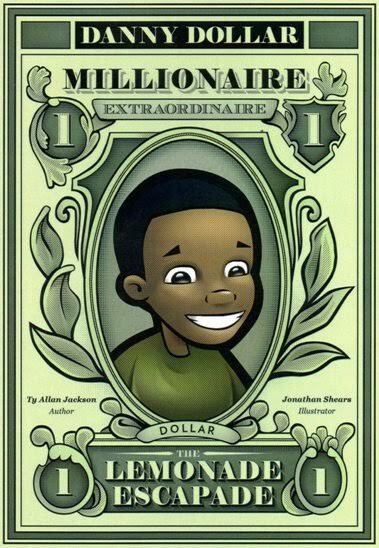 This 14-chapter serial story gives children an easy to understand concept of earning, spending, savings and investing.